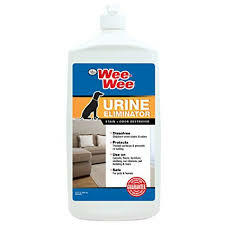 ee-Wee Air & All Surface Odor Destroyer. 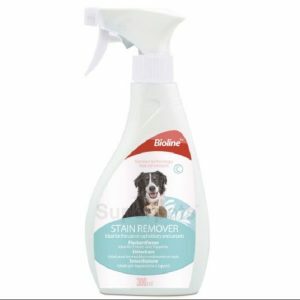 Not only does it eliminate pungent odors on fabric and hard surfaces, but it also attacks airborne ones too. 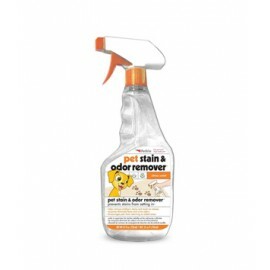 And unlike many common products, this spray will neutralize pet and common home odors on contact—no masking or covering them up with heavy fragrances. It’s safe, effective and guaranteed to work! 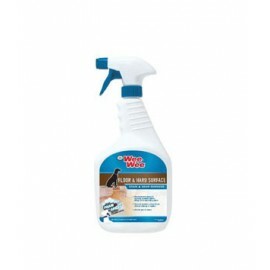 Use it on a variety of surfaces, including pet beds, upholstery, curtains, bed spreads, pet carriers, vehicles and more.